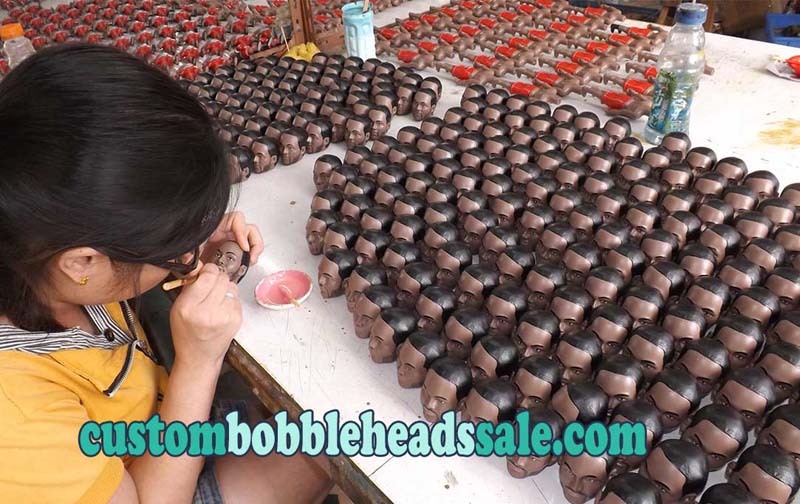 Please Set The Video to "High Resolution"
Welcome to Custombobbleheadssale.com ! 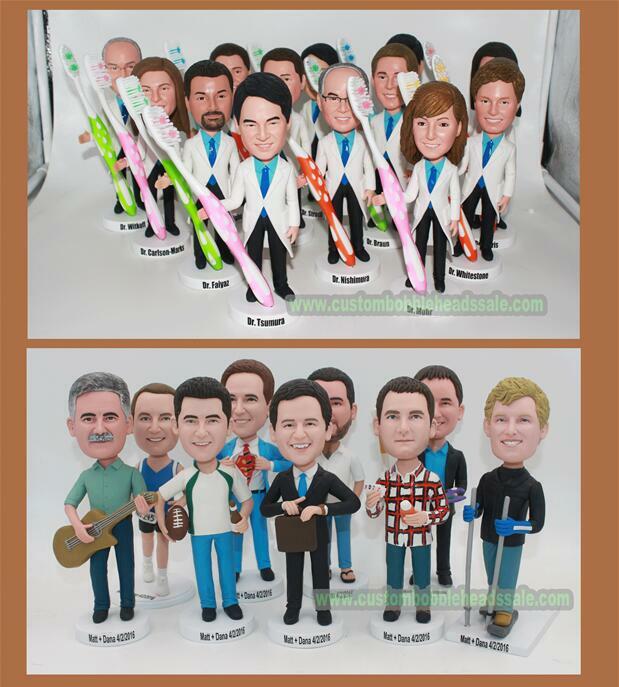 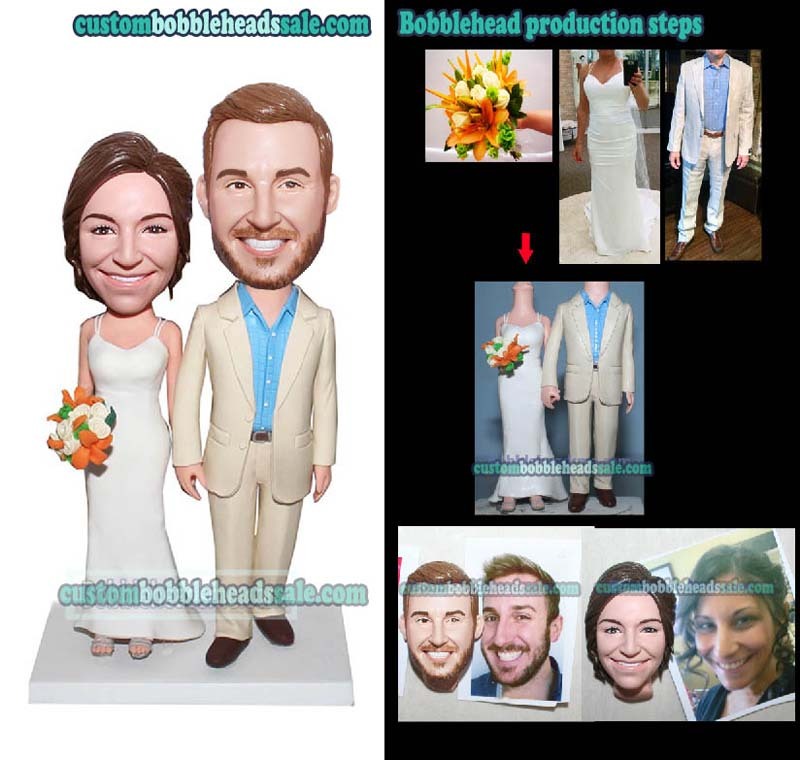 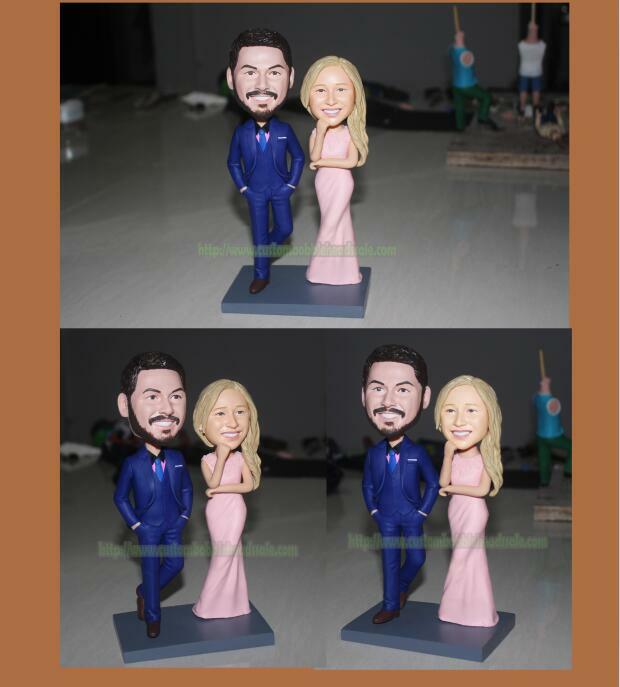 We are a professional custom figurines/bobbleheads manufacturer.we made more than 1000000 polymer clay wedding cake toppers and bobbleheads dolls for worldwide customer since 2008.With more than 8 years experience in the business of making custom bobblehead dolls, we have built a unique business model that contributes to our great success. 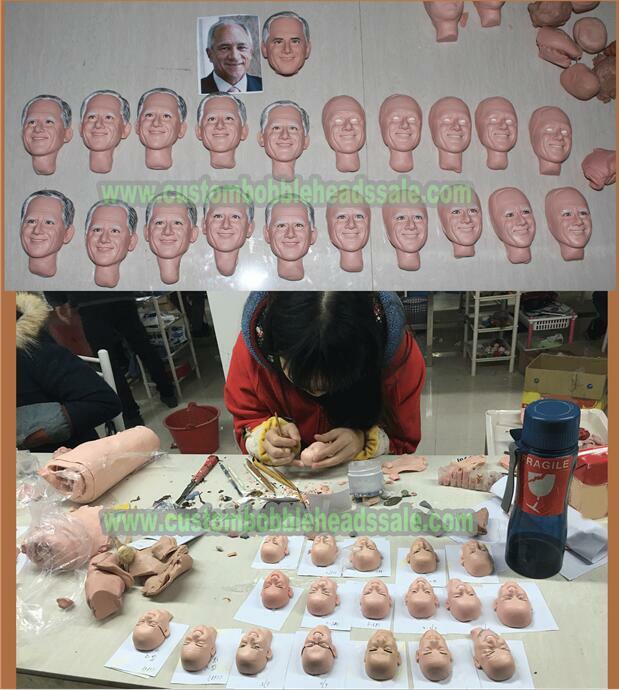 All of our bobblehead dolls are custom made according our customers specifications, if you would like to make your own bobblehaes, or you have any request, or you would like to have further information, please contact us, thank you very much. 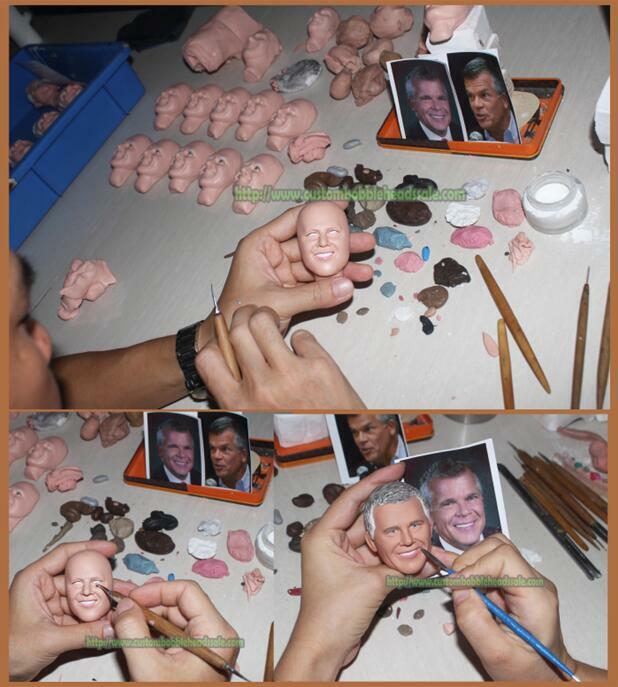 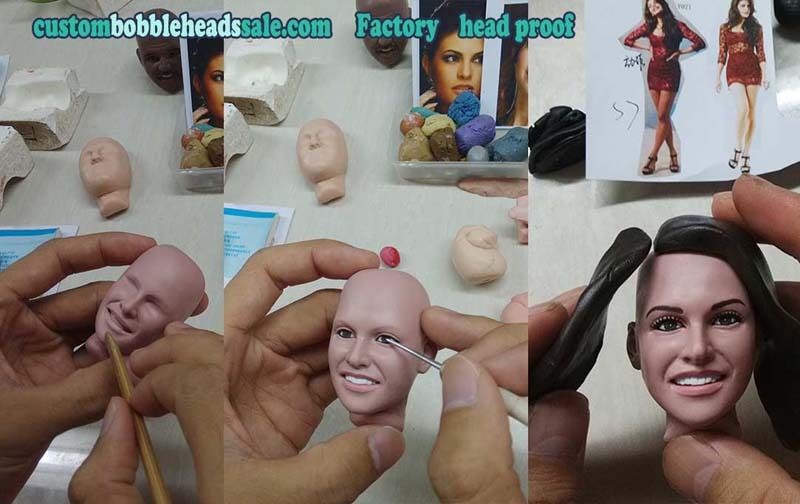 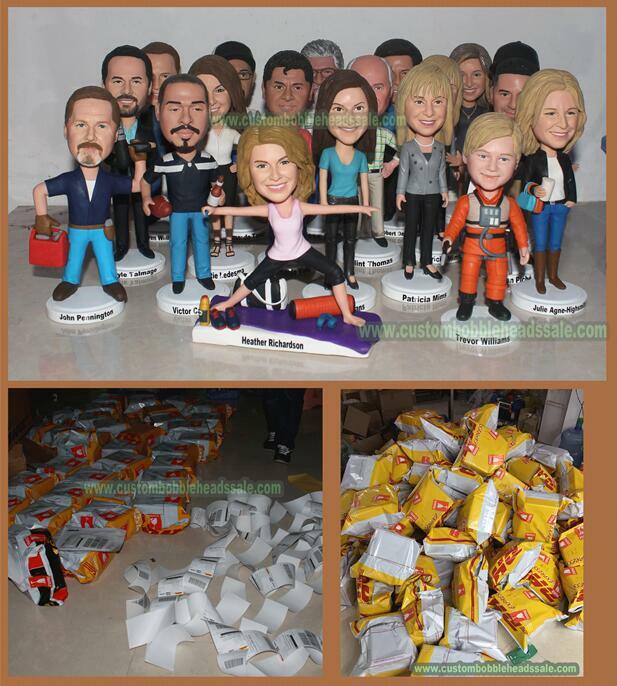 After order details confirmed, we would start to sculpture your bobblehead,at this proof stage,we would send you head and body proofs to confirm, you can request UNLIMITED change until you are 100% satisfied with your bobblehead. 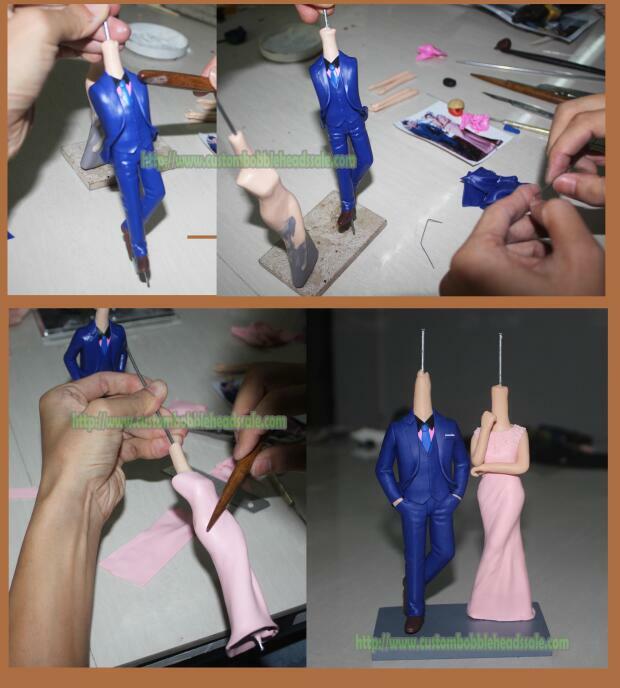 Most supplier use polyresin,polyresin is cheaper, and low quality, but we use Polymer Clay.Polymer Clay is beauifully colored, and the color will never fade.The baked polymer play art product has flexible.Polymer Clay is more 3D likeness and fresh. 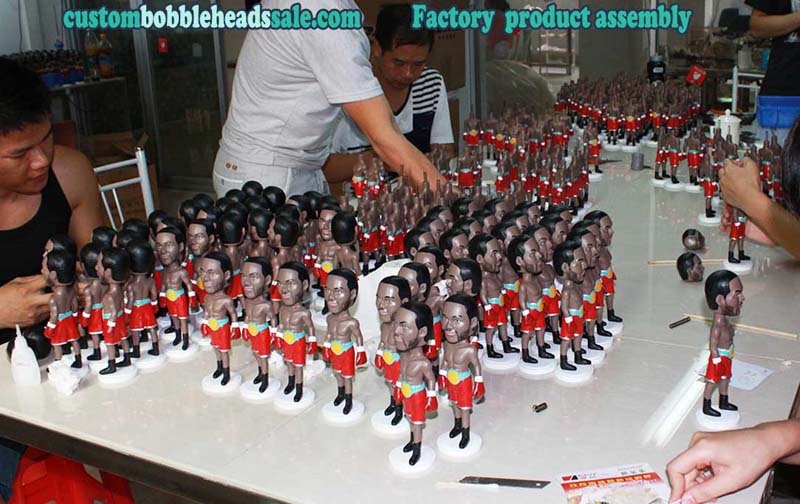 We are happy to provide our customers with a best price guarantee for premium quality custom bobbleheads. 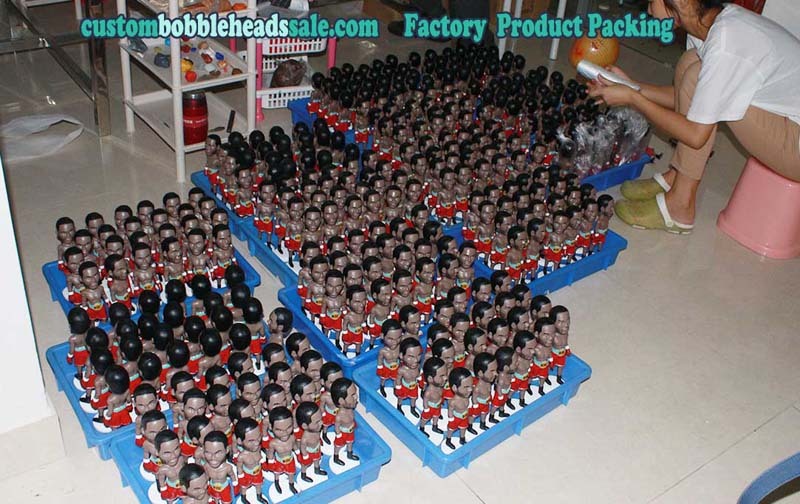 You will not find any other company on the internet that provides you with high quality custom figurines at the lowest prices – only Custombobbleheadssale.com. 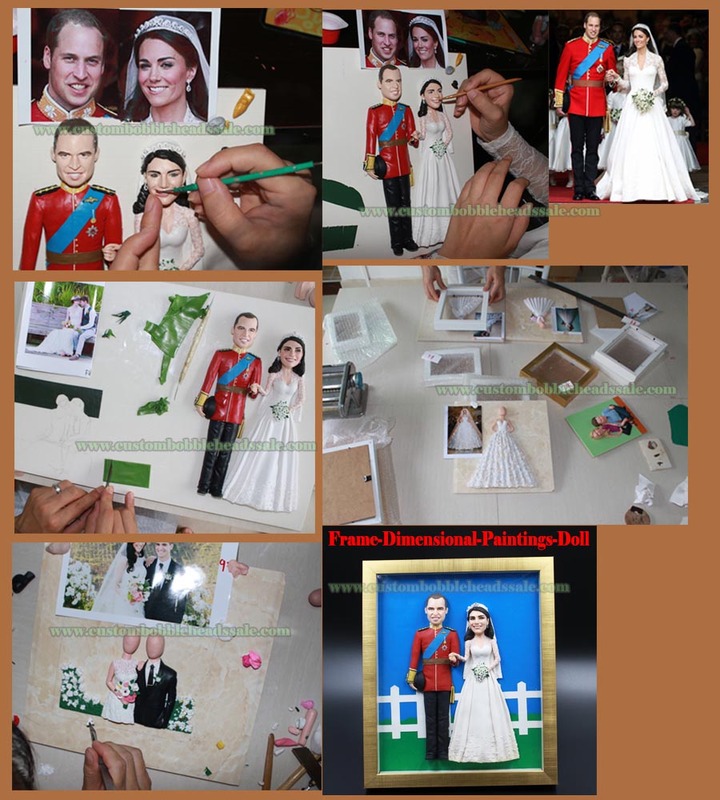 We will take picture during the order being processed and will show you the proofs, so that you can see how we handmade your order and at the same time, you can provide option to us, and request adjustment to achieve your 100% satisfaction. 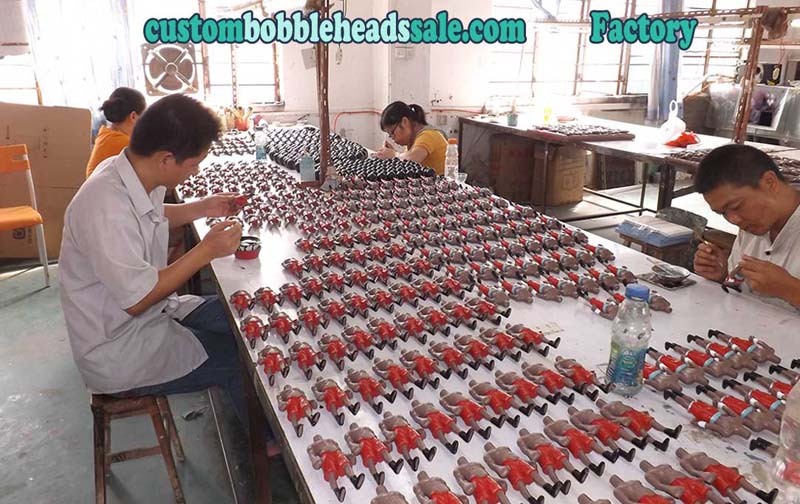 We can offer very competitive price since we are factory directly.besides the reliable production line all over the year we have over 15 skilled technician who with many years experience.for large quantity order please email us we can offer lowest price you ever have.